Hundreds of school pupils in Moray were sent home early yesterday after a sickness epidemic spread through staff. 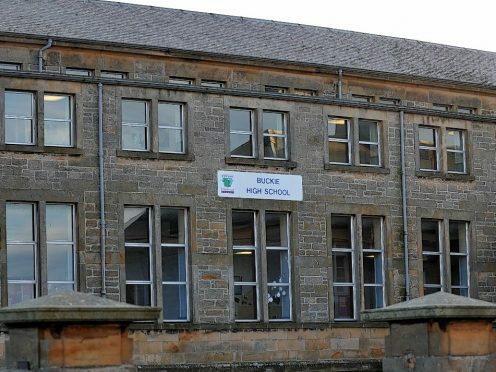 Buckie High School closed at lunchtime after a large amount of teachers called in sick due to an illness, which has also affected students. The bug, which is understood to give “flu-like” symptoms, was also causing issues last week with all members of the senior management team needed to cover classes in order to continue lessons. Teachers continued to be moved around classrooms yesterday morning in order to cover the gaps before the decision was made to close the school. A parents’ evening for S2 students was also cancelled due to the outbreak. No deep clean of the school has currently been scheduled. The buildings are expected to reopen today but Moray Council stressed it would continue to monitor the situation for the rest of the week. Yesterday’s closure came just days after a decision was made to reduce cleaning hours in schools amid fears from staff that the move could lead to more sickness outbreaks. The council has stressed that classrooms would remain safe and hygienic despite the cuts, which are yet to be implemented. Sonya Warren, chairwoman of the authority’s children and young people’s committee, said: “The team at the school worked really hard last week to cover all the absences to make sure all the teaching was done. “Unfortunately, it appears to have spread. It was hard to cover the morning classes and the afternoon just wasn’t possible. A Moray Council spokesman said: “We had a very high level of unexpected absence due to staff illness, which made it impossible for us to cover all of our classes today.